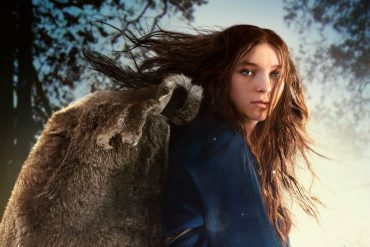 Just as US television begins a love affair with anthology dramas (American Horror Story, Fargo, True Detective, Feud), the show that could most have benefitted from that format gets in on the act. 24 changed the paradigm of scripted TV in 2001, thanks to a smart “real time” format and whooshing split-screens, which increased the tension of watching terrorists put their plots into actions. It arguably effected US foreign policy during the Bush administration (particularly regarding the use of torture as an acceptable means of interrogation), but undoubtedly became a fascinating reflection of its time. Americans wanted to feel safe after the World Trade Center fell, and who better than a right-wing counter-terrorism agent who’d sooner kneecap a terrorist than bother with due process and paperwork? After 8 seasons and what now appears to be a valedictory miniseries, 24: Live Another Day, the long-running franchise has been spun-off with 24: Legacy. Out goes unorthodox hero Jack Bauer (Kiefer Sutherland), a man who’s had more bad days than hot showers, and in comes new protagonist Eric Carter (Corey Hawkins), an ex-Army Ranger about to face oddly familiar situations, twists and turns. The idea of freshening up 24 is a wise one, even if it’s happening far too late. The success of Live Another Day was largely due to its novelty ingredients (like actually filming in London) and the iconography of Kiefer Sutherland back in his signature role. 24 and Jack Bauer feel indivisible, and Legacy can’t ameliorate the situation by having old meet new in a torch-passing storyline, as Creed (2015) did for the Rocky franchise. Fortunately, 24′s famous ‘ticking clock’ format has always been a rewarding armchair experience, and the producers have stuck with Live Another Day’s decision to condense a 24-hour story into half that time. 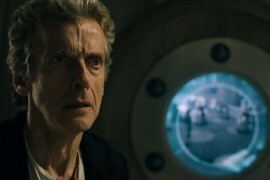 It’s a cheat I’m sure many purists hate, but 12 episodes certainly result in more focused storytelling. 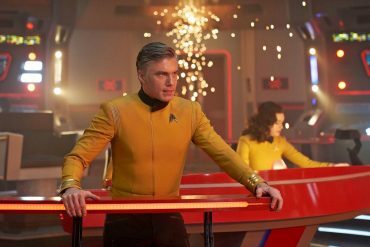 One bugbear of 24 was how so much that happened before episode 10 looked superfluous by the time you reached episode 24, in retrospect, as the writers were just laying the table for the main course. 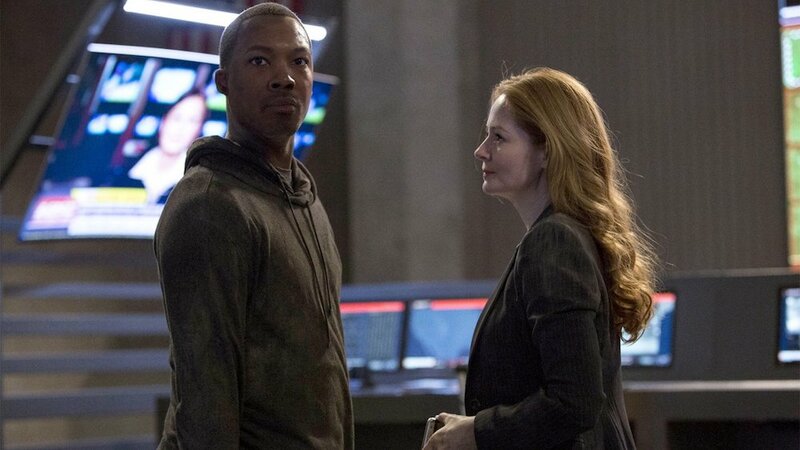 Frustratingly, 24: Legacy doesn’t embrace the opportunity to make enormous changes beyond the cast shakeup. 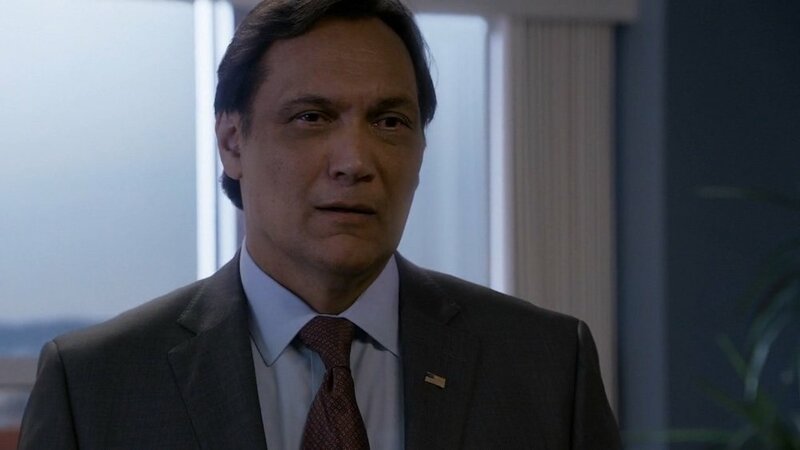 The Counter-Terrorism Unit (CTU) is still the hub of activity, the enemy’s another Muslim terrorist mastermind, and there’s even a chivalrous ethnic Senator running for President (Jimmy Smits) that echoes its parent show’s inaugural season. The changes are largely circumstantial or cosmetic. To setup the story, ex-Army Ranger Eric Carter returns home after a secret mission with his squad in the Middle East, unaware enemies have followed them back to the US and are now systematically killing each of his comrades in search of a Macguffin “strongbox” they stole. 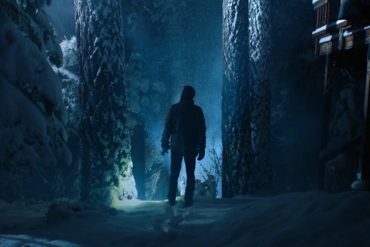 Eric, of course, survives the attempt on his own life, along with wife Nicole (Anna Diop), and delivers her into the protection of his criminal brother Isaac (Ashley Thomas), while he joins forces with CTU to bring the bad guys to justice. Or just kill them. There are some interesting dynamics with a few of the characters in Legacy, which helps keep a few things more watchable than they might’ve been otherwise. Eric’s thorny relationship with his brother is quite emotive at times, as there’s a love triangle between them involving Nicole, and this slowly develops into some juicy drama by mid-season. The aforementioned Senator, John Donovan, is also the husband of former Director of CTU Rebecca Ingram (Miranda Otto), who’s only just handed things over to her straight-laced successor Keith Mullins (Teddy Sears). It’s an interesting way to keep the political characters closely engaged with CTU staff as the story unfolds, but also keeps Rebecca on the fringes of authority, meaning she’s able to bend rules for the greater good along the way. Like arranging the painful torture of your own elderly father-in-law. But at this point in the history of the 24 franchise, the underlying problem with Legacy is this: there’s very little here you haven’t seen before. Jack Bauer encountered so many terrorist plots that the best Legacy can offer is tweaks on familiar tropes and situations, or moments that pull from real-world scenarios and topical concerns. We’ve also become slightly inured to the kind of crazy twists and courageously downbeat moments that once made 24 so astonishing to watch, so seismic moments designed to make jaws drop elicit only a smile of recognition for when that stuff made you fall off your seat. I mean, the original series detonated a suitcase nuke in L.A, so where can you seriously go from there? It’s also incredibly hard to follow in the footsteps of Kiefer Sutherland, who reinvented himself with Jack Bauer after a once successful movie career. 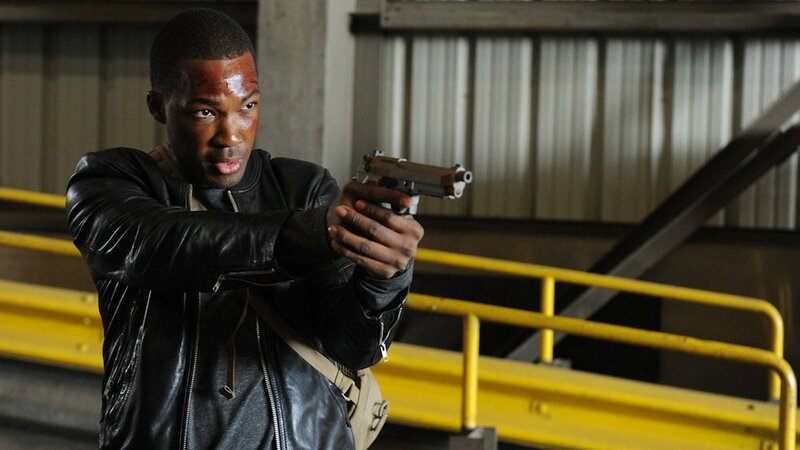 The decision to cast a relative unknown in Corey Hawkins (The Walking Dead) shows they weren’t trying to capture lightning in the same bottle, quite the same way, but Hawkins never manages to take Legacy on his shoulders and provide the same level of believability Sutherland brought to proceedings. The problem the writers faced with Eric Carter is how to make him a similarly gung-ho action hero to Jack, because that’s what audience expect from 24, while making sure he behaves in a manner that feels right for someone going through such an extraordinary day for the very first time. They never manage to square that circle. Carter’s just Bauer-lite, at best, and Hawkins lacks the gravitas to hold your attention throughout the season. 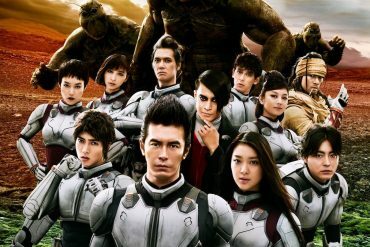 It ends up being more of an ensemble effort, which isn’t necessarily a bad thing, but I do think audiences needed a figurehead to embrace… and they didn’t deliver. 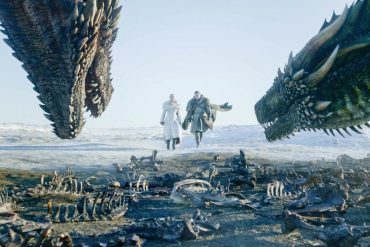 Despite launching to franchise-high viewing figures of 17.5 million in the US earlier this year, the second week’s audience had dropped 64% to 6.22 million. Things quickly settled around 3 million. 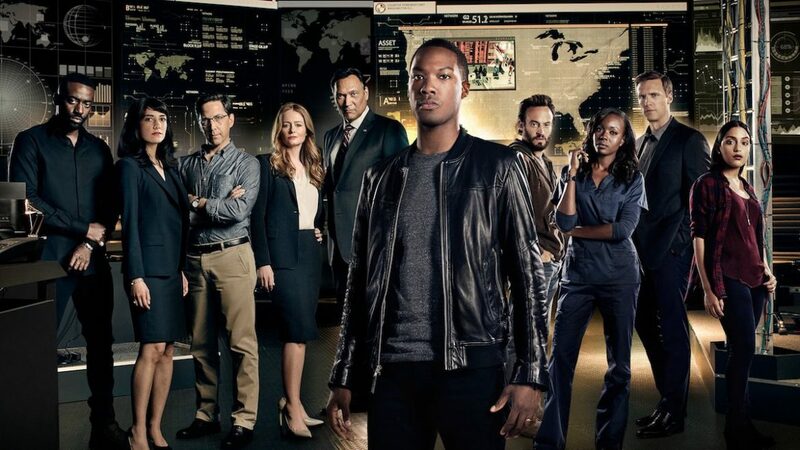 Consequently, Fox haven’t renew 24: Legacy for a second season, but have instead left the door open for another spin-off. That demonstrates acknowledgement this show didn’t offer much that felt fresh and different to what came before, and that the main characters didn’t leave a strong impression. Can the writers get the formula right next time? We shall see. But I’m of the opinion that 24 without Jack Bauer might’ve worked back when 24 was new, innovative, and just taking shape… but they’ve since become inseparable in the public’s imagination. It would be like doing a Bourne movie without Matt Damon. Oh, they did — it was called The Bourne Legacy (2012) with Jeremy Renner. Maybe there’s a lesson to be learned nobody took any notice of here. writers: Manny Coto, Eva Katz, Howard Gordon, Leigh Dana Jackson, Nikki Toscano, Nelson Greaves, Robert Cochran, David Fury, Tony Basgallop, Zakiyyah Alexander & Gabrielle Goodman Seitter. directors: Stephen Hopkins, Jon Cassar, Nelson McCormick & Bronwen Hughes. starring: Corey Hawkins, Miranda Otto, Anna Diop, Teddy Sears, Ashley Thomas, Dan Bucatinsky, Coral Peña, Charlie Hofheimer, Sheila Vand, Raphael Acloque, Gerald McRaney & Jimmy Smits.